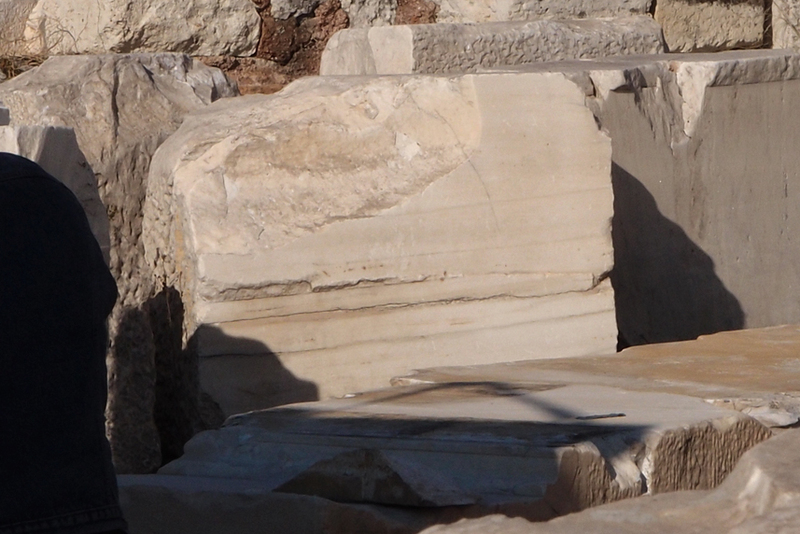 Beyond claims of ownership, there is one truth: the Acropolis sculptures are part of the Acropolis. They belong to the Acropolis in Athens, as the place of their creation and original geographical, historical and archaeological context. 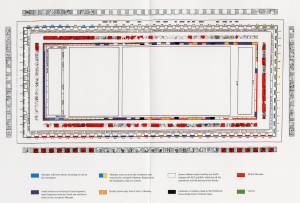 The Parthenon sculptures, and other sculptures of the Athenian Acropolis – one of the six Caryatids from the Erectheion, and the Athena Nike frieze – were removed by Elgin in 1801 without any permission from the Turkish sultan (Korka, 2010). This is what we would call seizure today. It is also a fact that the sculptures were taken from the Acropolis without the consent of any representative of the Greek nation, as Athens was under Ottoman occupation at the time of their removal. The Acropolis was designed, created and defended by the Greeks in the ancient world. Who would imagine that 2,500 years later fellow Europeans would hold its sculptures away from the monument? For more information, please refer to the list of sources at the end of this page and the links in the image captions. Elgin was the British Ambassador to the Ottoman empire in the early 1800s. His name was Thomas Bruce (he was the 7th Earl of Elgin, today widely known as “Elgin”), and because he liked ancient Greek architecture he removed as much as he could from the Acropolis (the Propylaea, the temple of Athena Nike, the Erechtheion, and the Parthenon) and shipped them to his house in Britain. 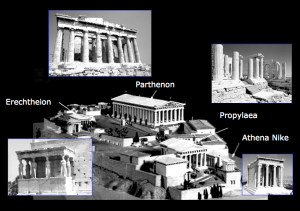 The buildings on the Acropolis of Athens are: the Propylaea, the temple of Athens Nike, the Erechteion, and the Parthenon. Elgin removed sculptures and/or architectural members from all of these buildings – especially from the Parthenon. 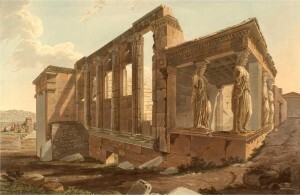 In 1801 Elgin seized the majority of the sculptures that adorned the Parthenon. He also dismembered and took parts of the other buildings of the Acropolis. In summary, he took from the Acropolis the following: — from the Parthenon: 247ft of the original 524ft of frieze, 15 of the 92 metopes, 17 pedimental figures and pieces of architecture — from the Erechtheion: one Caryatid of the six Caryatids, a column and architectural members — from the Propylaea: architectural members — from the temple of Athena Nike: 4 pieces of the frieze and architectural members (Hellenic Ministry of Culture, 2007a). Elgin did not have explicit consent of the British government or the Sultan to commit his deeds. 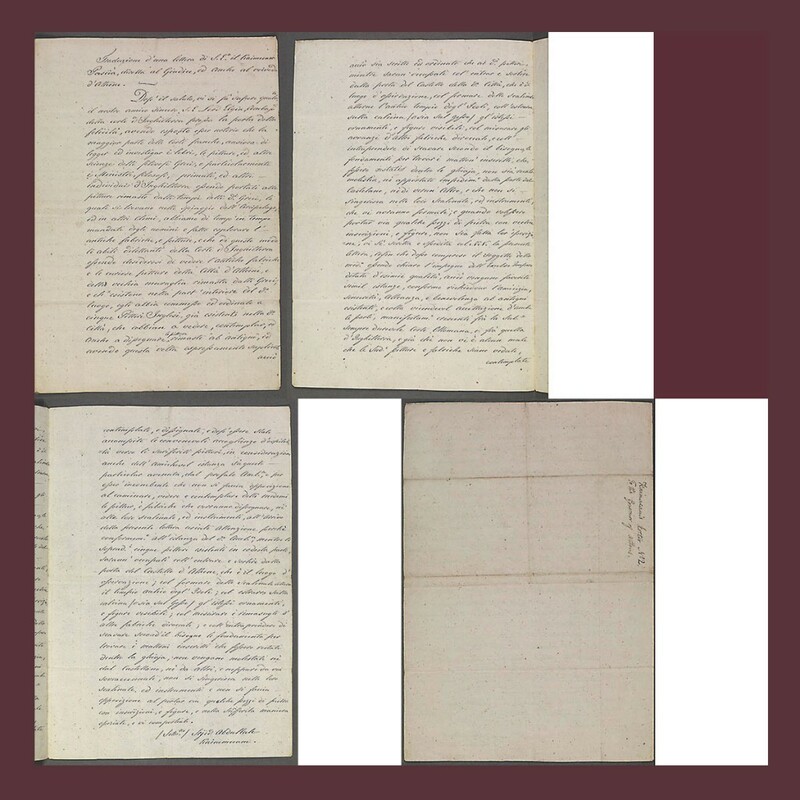 According to the available translations of the supposed permit, Elgin’s delegate had a simple letter from a Turkish official, which he managed to get through bribery and pressure. This letter was informal, did not have the Sultan’s signature, and neither did it have the form or syntax of a ‘firman’. Thus, Elgin’s delegate did not have Sultan’s permission to detach or take parts of the Acropolis to Britain. If that was true, then the translation would feature the characteristics of a ‘firman’. However, this is not the case. 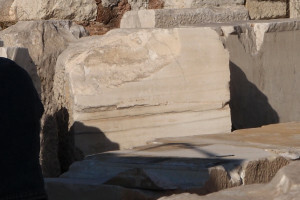 The letter simply asked the Turkish provosts in Athens to allow Elgin’s men to enter the Acropolis, draw and make casts, and, in case they found a small fragment of sculpture or inscription in the ruins around the monument, they could remove it (Hellenic Ministry of Culture, 2007b; Korka, 2010). Thus, Elgin did not have permission to dismember buildings or temples of the Acropolis, or to detach, cut or remove any parts of them. Philip Hunt’s English translation of the Italian translation of the Ottoman document that was supposedly a ‘firman’. The original ‘firman’ was never found… The English tranlation of the Italian transation shows that the original Turkish document, if one ever existed, was merely a recommendation letter from a lower-rank official (a ‘kaymakam’), and not an official permission (a ‘firman’) from the Sultan. Elgin’s deeds were unpopular in Athens (a collection of original memoirs and letters by travellers to Athens in that period are provided by Tomkinson, 2006). The Greeks were practically ignored by Elgin, who literally cut the sculptures off the Parthenon and shipped them to Britain. At the time in history when Elgin took the Sculptures, there was no Greek state; well into a 400-year Ottoman occupation, the Greeks where engaged in a fierce fight against the Ottoman forces, in an effort to free themselves and form an independent Greek state. Elgin bribed the Turkish guards at the Acropolis of Athens, in order to perform his deeds unobstructed. 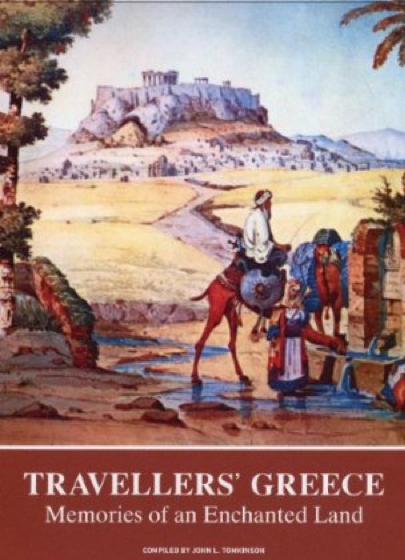 Tomkinson’s collection of memoirs and letters (“Travellers’ Greece: Memories of an enchanted land”, 2006) provides invaluable insights into the historical, political and emotional context of the removal of the Acropolis sculptures from Athens. Elgin was in a critical financial state, and taking the Parthenon sculptures to Britain was an easy way out of his financial trouble. Edward Dodwell: Views in Greece, London 1821, p. 39. 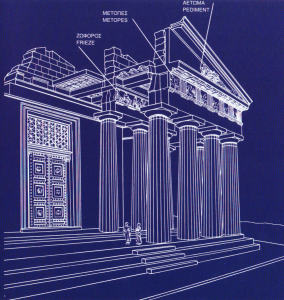 Elgin broke pieces of the Parthenon, cutting their artistic facade off their architectural extension with a saw. He then shipped the artistic part of the sculptures to Britain. He abandoned the architectural parts on the Acropolis, which you can still see today (one is on display in the Acropolis Museum, where you can see the saw marks). Elgin sawed off the artistic facade of the Parthenon frieze, leaving behind mutilated building parts. This is one of Parthenon’s architectural members that were removed and cut with a saw to detach their sculptural decoration. 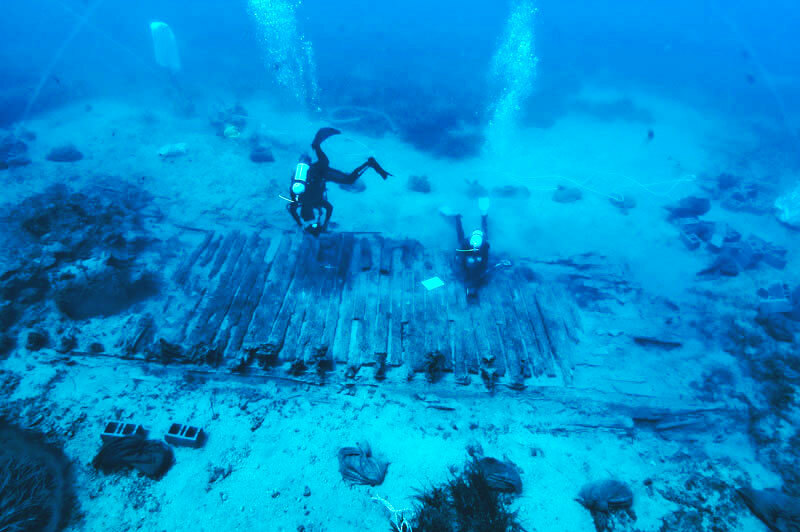 On its way to Britain, Elgin’s ship that carried the sculptures, ‘The Mentor’, sank outside the island of Kythera, leaving the Parthenon sculptures in sea water for two years (Pavlou, 2011). The sculptures suffered bad treatment by Elgin. They were placed in a dirty, damp shed in his house, where he kept them decaying for years. 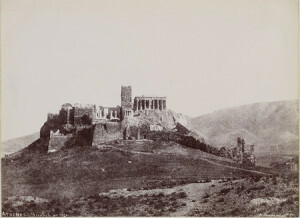 At the end of Elgin’s financially devastating adventures, after a British government enquiry that aimed to investigate Elgin’s deeds, the British government bought the Acropolis scuptures he had brought to the country. 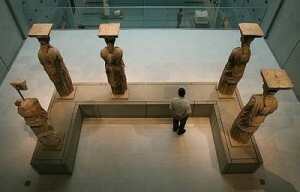 The sculptures were put in the British Museum. The British Museum continues to hold the Acropolis sculptures in London, refusing to reunite them with the matching originals in the Acropolis Museum in Athens. Elgin did not only take sculptures from the Parthenon. He took sculptures from all buildings of the Athenian Acropolis. 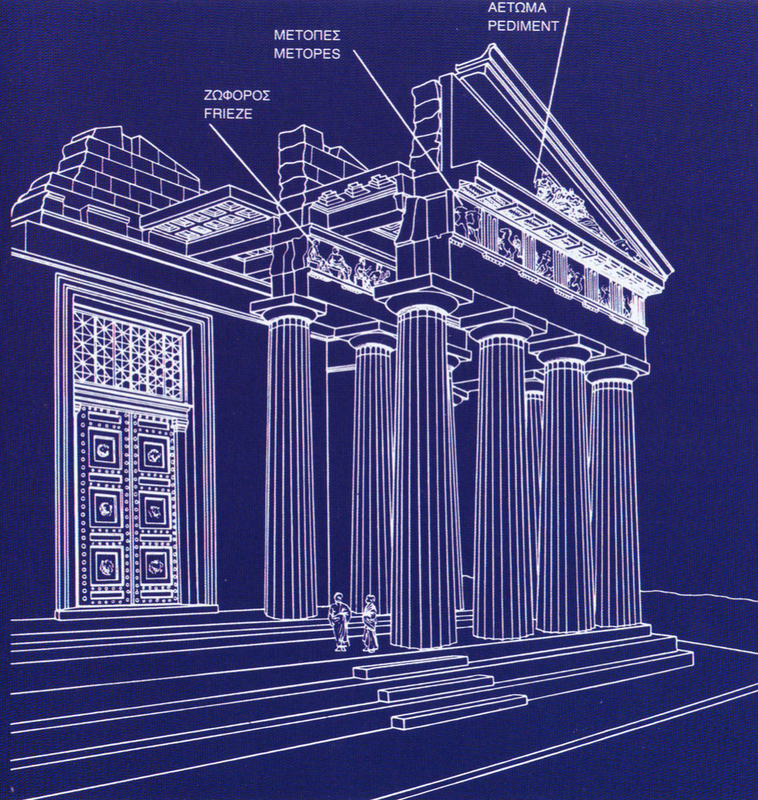 In this image: a Caryatid is missing from the original set from the Erechtheion in Athens. The majority of the public opinion, including the public opinion in the UK, support the return of the sculptures to Athens (see list of polls). The authority that can effect the return the Parthenon sculptures to Athens is the English Parliament. All it takes to return the Parthenon sculptures to Athens is a new Act of Parliament. Documentaries – please refer to the Films and Videos section for a list of titles. Korka, E. (2010). 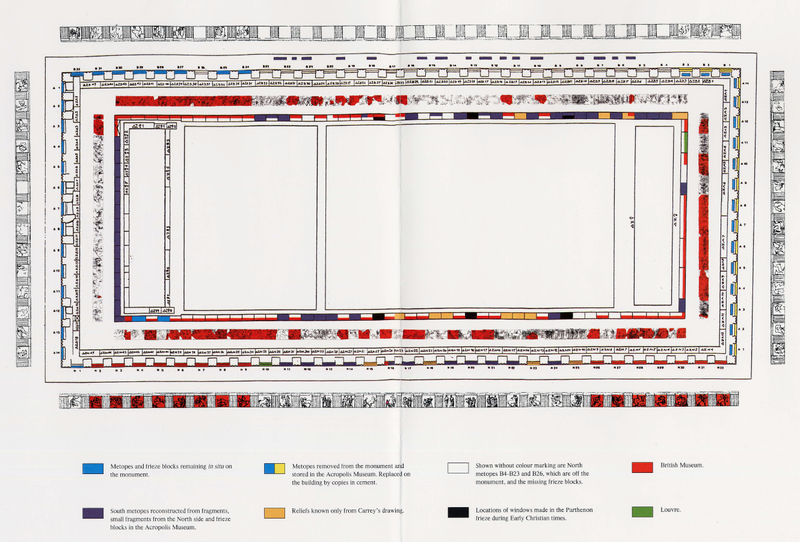 A conversation with Elena Korka – The pillaging of the Parthenon Marbles by Elgin. In C. Koutsadelis (Ed. ), DIALOGUES ON THE ACROPOLIS: Scholars and experts talk on the history, restoration and the Acropolis Museum. (English Ed., pp. 278-298). Athens: SKAI BOOKS. Tomkinson, J. M. (2006). Travellers’ Greece: Memories of an enchanted land (Second Edi.). Athens: Anagnosis. and in the AcropolisofAthens.gr Library.